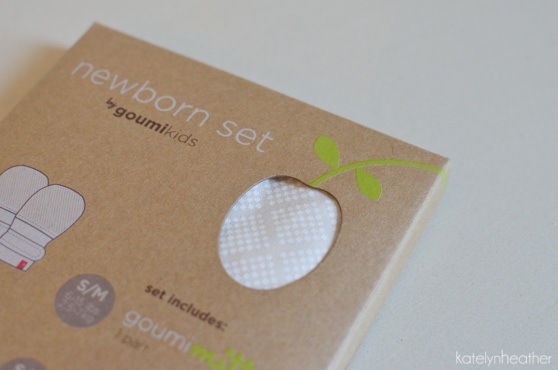 Have you heard of Goumikids yet? 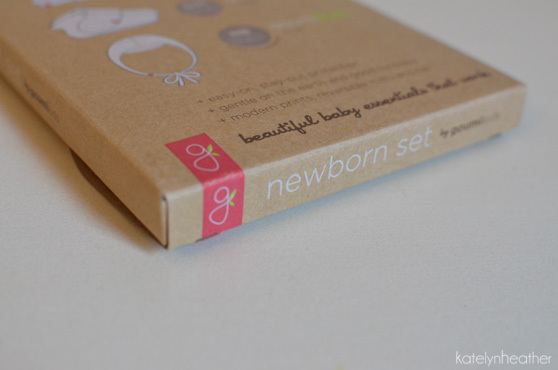 They are a tiny two-mom company making some of the sweetest little baby products on the market. 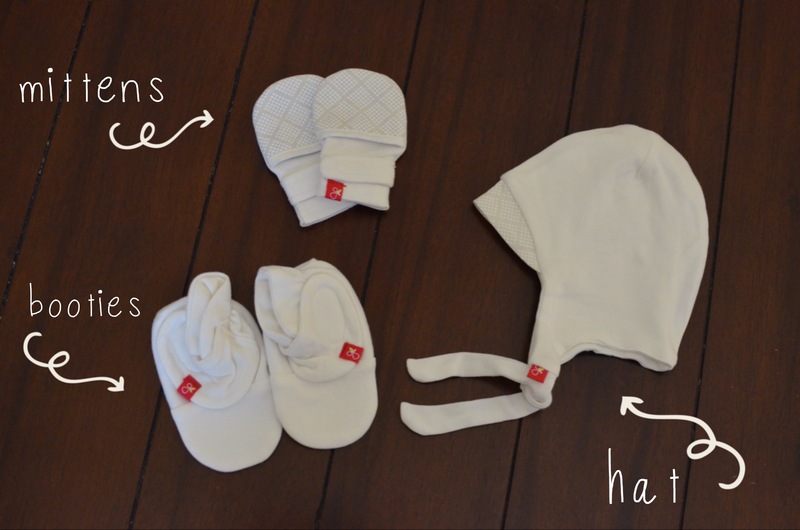 I’m excited to share them with you – and offer a chance to win a newborn set of your own too! 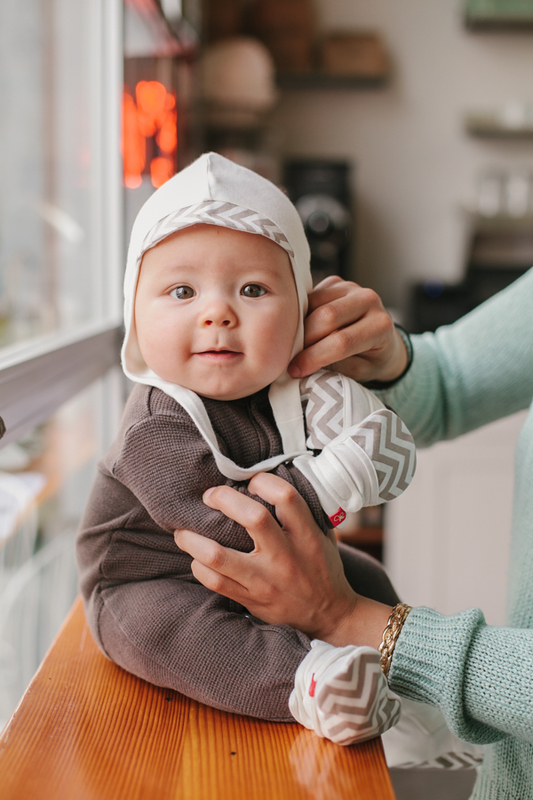 Goumikids offer mittens, booties, and most recently have introduced hats for babies. The adorable little hat reminds me somewhat of a gnome or pixie, which in my opinion makes it just about as perfect as can be for a baby. All goumikids products are made with organic cotton and have sophisticated and versatile patterns and colors, designed to engage baby’s developing vision. They sent me a newborn set to check out and it is some of the softest fabric I have ever found in a baby product, which I really love. Cuteness goes so far, but when something is super soft I know I will use it for baby all the time. I was happy to receive a “gender neutral” color so that I’ll be able to use it someday in the future, but if you win the giveaway you’ll have your choice between diamond dots (like I received), “pink leaves”, and “blue sketch” which can be seen here. And for one more reason to love them, Goumikids contributes a portion of all proceeds to protecting children and prevention of trafficking in their goumigiving program. Love the mission behind this company! Great giveaway set! Love these items… They’re so adorable! I’d love to win. This set is so soft and perfect for a newborn and I’m 37 weeks so I need this! I have a goumihat. I’d love the whole set for my newbie. This is so cute!!! I have the goumihat. I’d love the whole set. It’s so cute! What a great company. Love that it goes beyond just making kids clothes, but they design them for baby’s development and use the proceeds for a good cause. Having a baby girl in November, and this would be perfect for the cold weather. What a great company. I love that they design products for baby’s development, and that they give back. This would be great for my baby girl coming in November! Due next month and would love to win!! Love what this company stands for! Thank you Katelyn for always sharing your great finds!